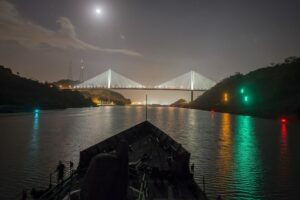 Panama – the small Central American nation and the 118th biggest nation in the world – plays a disproportionately large role in the global economy. More specifically, Panama’s FDI stock in 2017 was over USD$50B; considering that total GDP in 2017 was just over USD$61B, it’s clear to see exactly just how much foreign investment drives the Panamanian economy. While in some places this would be viewed negatively, Colombia’s northwestern neighbors promote and welcome foreign investment with open arms, fortified by an economy that, today, seems crafted specifically for its accommodation. If you’re considering forming a company in Panama, consolidating your knowledge on the most common form of business entity would be a great place to start. A Panamanian S.A. legal entity (anonymous society or “Sociedad Anónima”). This type of company is a Panamanian legal entity similar to a corporation, which allows one or more shareholders (individuals or legal entities) who are liable according to the amount of capital they invest in the company. When incorporating this type of local company, different types of business activities can be recorded in spite of the fact that only a few of them will be undertaken. In Panama, Foreign ownership up to 100% is permitted. Are fiscal address, legal representation, and a resident agent required? As part of the company incorporation process, a legal name search will need to be conducted. Unfortunately, it is not always possible to get your preferred company name, and for this reason, it is best to have (3) company names in mind. A shareholder or stockholder is a person (an individual or a company) that owns part of a company through the purchasing of shares/quotes. Please note that for a Panamanian S.A., the shareholders can be either natural or legal persons. Shareholders are liable up to their capital contribution but are also legally liable for management, executive decisions, and the company’s financial transactions. Please note that if you choose to register a legal entity as one of the company shareholders, local banks may require additional documentation identifying who are the beneficiaries. The company share/stock capital is the amount of capital subscribed by the company shareholders during the company incorporation process. The share capital can be both relevant and important if and when applying for bank loans, working in joint ventures or bidding on government contracts. The value of the share capital can impact the ability to be granted loans; a company with a high share capital will have a greater chance of being granted a substantial loan than a company with a low share capital. The share capital can be increased or decreased at any time during a company’s operations, but the share capital should be a sensible number that reflects the company’s size and operations. Please note that there is no minimum share capital for an S.A. in Panama. However, in most cases, companies begin with a share capital of up to USD$10,000. A board of directors is a group of people who jointly oversee the activities of a company. In Panama, an S.A. must appoint a minimum of three board members. These three members must be a president plus two other directors (e.g. a secretary and a treasurer), all of which can be Panamanian nationals or foreign individuals. These three members must be a president plus two other directors (e.g. a secretary and a treasurer), all of which can be Panamanian nationals or foreign individuals. If the board members are foreigners, all incorporation steps and procedures will be slightly more complicated and will take more time to be completed. In contrast, having local directors makes the incorporation process, as well as making future management procedures, additional amendments, modifications or arrangements easier and faster to process given that they are located within the country to sign and take care of the necessary documentation. All companies are required to hold an annual general meeting (AGM). The AGM cannot be virtual or held remotely if any of the shareholders cannot be present in the country when the meeting takes place. The Legal Representative and Company Resident Agent act as the legal face of the local Panamanian company, and thus, are the signatory for all company operational activities. In this role, the two individuals assume the legal responsibility to ensure the good operation and standing of the business. The Company Legal Representative and Resident Agent can be either Panamanian nationals or foreigners and must be part of the board of directors (generally the president also takes on this role). Having a resident agent is a requirement to set up a company in Panama. The resident agent must be a Panamanian lawyer domiciled in Panama whose purpose is to serve as a controlling agent of the company’s activities and carry out the necessary legal procedures at the respective authorities. A fiscal/legal address is a minimum statutory requirement for all legal entities in Panama and is registered with the Panamanian tax authorities. This will be the official registered address of the company, and thus, is used for all official communication. To complete the company incorporation process, the company will be required to open a corporate bank account. During the bank account process, the following information/documentation will need to be submitted. Commercial references of the company. Bank references of directors and shareholders. Personal references of directors and shareholders. To complete the company incorporation process, the company will be required to open a corporate bank account. Financial projections (i.e. referenced and estimated expenses and income) of the company for the following 8 months. Scanned copies of personal documents of the directors and shareholders. Panama is undoubtedly a popular foreign investment hub for a reason, and the economy seemingly has little intention of becoming any less appealing to the outer world. It’s extremely convenient location combined with its very favourable laws towards investment in all its many forms will continue to keep Panama in the forefront of Latin American economies attracting willing investors all across the world.